This is the last post in this series about time management. Part 1 was about Perspective, Part 2 was about tips & techniques to manage and schedule your time, and now Part 3 is about time management regarding planning and teaching your lessons. Hopefully these tips are helpful for instructors in training and certified instructors alike. Consider your riders. While one class make take 5 minutes to mount, another may take 8. While one rider may do an obstacle course 3x in 5 minutes, another may take 10 minutes due to delayed reactions. Factor this into your timing. Watch the clock. Keep a huge clock near the arena, or use a watch. After each part of your lesson, check the clock to see how long it took you and how much time you have left. Make it habit just like safety/tack checks. You can’t manage time if you don’t know what time it is. Compare reality to your plan. Keep track of how long it takes you to do each part of your lesson (or have someone keep track for you), then compare it to what you had planned. This way you’ll notice where you are running short or long, and know where to make the appropriate changes. Note that if you are a new instructor, you may just need time – the more practice you get at things like adjusting stirrups and teaching skills, the quicker you will get at it, so your timing may improve as you gain experience. Make the appropriate changes. If your timing is consistently different from what you had planned, you need to make some changes. That is, you either need to adjust the amount of time your give yourself for certain parts of the lesson, or you need to adjust how you do something in the lesson to keep it within your time limit. Example: You don’t start on time because at your barn the volunteers get your horses ready and this volunteer has not been bringing the horse out on time – or rather, always takes a long time to tack up. So know that before this lesson you need to go check on the volunteer and help them kindly, or if you’re in a lesson, ask that volunteer to get the horse ready earlier and bring the horse into the arena 5 minutes before the lesson starts to warm up. Example: The mount and stirrups part of the lesson takes you forever because you are just not fast at doing stirrups. If it’s safe and they are trained, you can have someone else do stirrups for you while you get the next rider on. Or find time to practice outside of the lesson to get faster at this. Or write the stirrup lengths on the roster and make sure the lengths are set on the saddles before the lesson starts. Set boundaries. As in, “regardless of what we are doing, I HAVE to start cool down at this time in order to end on time.” While we may wish we could have just 10 more minutes with a rider, the reality is if you have back to back lessons you have to end on time. Be flexible. With all that talk of staying on time, remember that it’s okay to adjust your lesson plan as needed. For example, your rider is having trouble transitioning today and it set your lesson plan back 5-10 minutes, or completely changed it up. It’s okay! 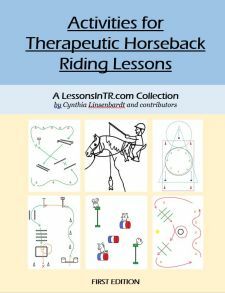 Your priority is that the rider has a successful lesson, whatever that looks like, even if it looks different from your lesson plan and timing. End on a good note, even if it’s early. If your rider accomplishes something great a few minutes before you had planned, check the clock. Only continue if you know you can have another good note to end on within the timing. If you don’t know, then do something else, such as a longer cool down or more horse parts or a quick game or helping put their horse away. Too many time’s I’ve kept going past the good ending point only to run into trouble, such as a meltdown, or failing to repeat the skill resulting in frustration and not ending on a good note, or running over on my timing just to make sure we did find another good note to end on. Enlist rider help. If someone likes schedules and time, make them keep track! Make it their job to give you a 5 minute warning or update you on the time. What time management techniques do you use in your lessons? How do you stay on time? Hi. I understand tack check one, but what are you referring to with tack check two and three? Hi! Tack check 1 is before the lesson starts, and then PATH Intl wants to see 2 tack checks during the lesson as well: tack check 2 is after mounting (often the saddle needs tightening after the rider’s weight is in it), and tack check 3 is after warmups (often the saddle needs tightening after the horse has moved around a bit). 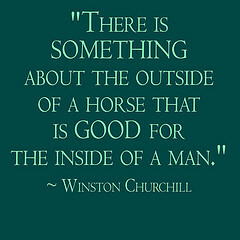 It’s also a good idea to throw another one in before trotting or cantering.